Andrew grew up in Chilliwack, BC. Under the influence of his parents, Mennonite Brethren church, and inter-Mennonite high school he became a follower of Jesus Christ, marked by his baptism as a teenager. His time at Mennonite Brethren Bible College in Winnipeg expanded his capacity for studying the Scriptures, and for viewing all of life as service to God. Andrew married Martha in 1984, and worked for eight years as a physiotherapist in Winnipeg. Meanwhile, his volunteer work as a church worship leader, musician, group leader and speaker prompted him to study at Eastern Mennonite Seminary in Virginia in the mid-1990s. Afterwards, Andrew’s family (Martha and Andrew have three sons) moved to Abbotsford, where he served for 16 years as a pastor: first with King Road Mennonite Brethren Church and then with Highland Community Church. Through receiving spiritual direction and being trained as a spiritual director, he experienced a deepening of his life with God. While writing his PhD dissertation, Andrew was invited in 2012 by MB Seminary and Canadian Mennonite University to become Assistant Professor of Ministry Studies. In the process of preparing for this role, Andrew identified five themes that have been important to him throughout his adult life: higher education (including teaching), classic music and liturgy, listening prayer, church life, and family life. Andrew’s personal blog is called Bringing Gifts, where he discusses and reflects on a wide rage of topics relevant to Christians and the church. Andrew teaches courses that are designed to help students prepare for various kinds of Christian ministries — whether as pastors or in other roles. Although most of his courses are offered at the graduate level, some of his courses are available to both undergraduates and graduates. Andrew’s courses include Foundations for Pastoral Ministry, Spiritual Formation, Supervised Ministry Experience, Christian Spirituality, Mission and Evangelism, Pastoral Care, and Prayer. Andrew’s doctoral research focuses on the place of contemplative practices within the spirituality of Canadian Mennonite Brethren. He is mapping the spirituality of Mennonite Brethren by studying this denomination’s experience of conversion, reading Scripture, and singing together. Each of these three is paired with a contemplative practice that is present among Mennonite Brethren: spiritual direction from the Ignatian tradition, lectio divina from the Benedictine tradition, and songs of the Taizé Community. This research is intended to offer insight into healthy appropriation of spiritual practices between Christian denominations and traditions. Andrew aims to complete his dissertation in 2015. “Fresh Air for the Good House of Menno: The Holy Spirit among Canada’s Mennonite Brethren” Direction 47:2 (Fall 2018): 207-228. “Prayer: Who Answers Whom?” The Messenger, July 2015: 10-11; revised in Mennonite Brethren Herald 54, no. 7 (August 2015): 22. “Laughing for Lent” in Waiting for the Resurrection: A Collection of Readings for Lent and Easter. Langley: MBBS Canada, 2015. “Praying for God’s Blessings: Our Starting Point in God’s Mission.” InTouch, Fall 2014:3-5. “Sowing Seeds or Tossing Nutshells? Speaking of Jesus.” Mennonite Brethren Herald 52 no. 10 (October 2013): 14-16. Republished (and revised) in MB Chinese Herald, The EMMC Recorder, The Messenger, and Christian Leader. Isaak, Jon and Andrew Dyck. “Mennonite Brethren Confessions and Mission.” Direction 41:1 (Spring 2012): 34-41. “The MB Genome Project: Exploring the Evangelical Anabaptist Helix.” Mennonite Brethren Herald 51, no. 2 (February 2012): 12-14. 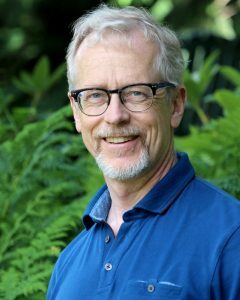 Guest editorial on Mennonite Spirituality. Roots and Branches: Periodical of the Mennonite Historical Society of BC 18, no. 1 (February 2012): 2. “Can the Centre Hold? Conversion in Mennonite Brethren Spirituality.” In Renewing Identity & Mission: Mennonite Brethren Reflections After 150 Years, edited by Abe Dueck, Bruce Guenther and Doug Heidebrecht, 165-183. Winnipeg: Kindred Productions, 2011. “Herb Neufeld: He Opened Doors and Pushed Out Walls.” In Leaders Who Shaped Us: Canadian Mennonite Brethren — 1910-2010, edited by Harold Jantz, 255-271. Winnipeg: Kindred Productions, 2010. “Mennonite Brethren and Contemplative Practices.” Roots and Branches: Periodical of the Mennonite Historical Society of BC 16, no. 3 (October 2010): 18-19. “Movie Urges Church in Abbotsford to Get Outside.” BC Christian News, October, 2010. “Guide to ‘Treasures Old and New. '” Review of 1 & 2 Timothy, Titus by Paul Zehr (Believers Church Commentary Series), Mennonite Brethren Herald 49, no. 8 (Aug., 2010): 34. “Praying the Blessing of Psalm 110: A Response.” Baptistic Theologies 1, no. 2 (Autumn 2009): 17-23.
Review of The Brazos Introduction to Christian Spirituality by Evan Howard, Communio Viatorum: A Theological Journal 51, no. 1 (2009), 106-113. “Examine the Day: I John 1:8-2:2, 3:18-24.” Mennonite Brethren Herald 46, no. 11 (Nov. 2007): 18. A More Excellent Way: Christian Marriage in the World (We Believe Pamphlet Series). Winnipeg: Board of Faith and Life, Canadian Conference of Mennonite Brethren Churches, 2006. “Come Away: Worship Leaders and Youth Workers Meet for Contemplative Prayer Retreat” (feature article). Mennonite Brethren Herald 43, no. 1 (Jan. 16, 2004): 4-5.